Natural wax candles are a wonderful addition to any indie beauty line or as a launch product. As you know, they add incredible warmth, fragrance and charm to any environment. In this workshop you will learn how to create candles in glass containers, choose your own scents and safely add optional flowers/plants and crystals. If you are interested in making candles to sell or as a craft for gifts or favors, this class is for you! 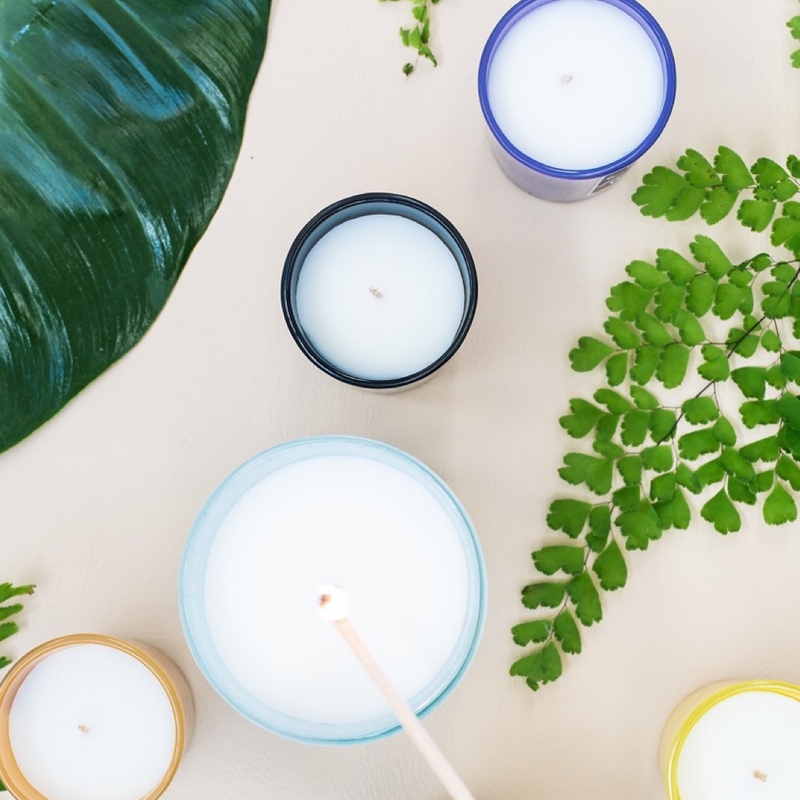 Join green beauty cosmetic scientist, Marla Bosworth, and learn what it takes to design your own soy and coconut wax candles. Marla will share her expertise in blending fragrances that provide beautiful hot and cold "throw" and aroma. This workshop is intended for students to have fun exploring different scents while creating their very own candles. Students will choose their own scents and colors for each candle - one for soy wax, and one for coconut wax. Much thought and consideration should go into developing a line of candles. Marla has been manufacturing and selling candles for 21 years. Signup for this live NYC workshop also includes access to Marla's online candle class that students can watch and learn at their own pace. The online class goes into depth about choosing wicks, wax, required labeling, pricing and insurance (for those wishing to sell), testing and much more, leaving us with more experiental time in the live workshop for you to design your own candles. You'll receive an emailed information-packed handout with detailed instructions, formulas, formulating guidelines and a valuable supplier list that is worth the class alone. This is a hands-on class. If you have an existing beauty business, or are launching one, you'll love how these candles easily cross-sell with the rest of your line. Marla creates highly experential workshops - a holistic perspective of learning by transforming new and ancient wisdom. If you've ever attended her classes you know she energetially creates a positive, supportive learning environment that is educational and also fun. Bio: Marla Bosworth is the CEO of Back Porch Soap Company. She has been creating conscious beauty products for 21 years. Marla is an ascension guide and lives near the Grand Teton mountains in Jackson Hole, Wyoming. Course Fee: $168 early bird rate until April 30. Regular rate of $188 thereafter. Class fee includes materials, supplies, ingredients and a valuable handout with recipes, formulation tips, instructions and a list of our favorite suppliers. Note: All classes must be prepaid in full. Due to venue rental contracts and Marla's travel and accommodation commitments, we do not offer refunds, transfers nor credits on missed classes. If you would like to send someone in your place, please let us know 24 hours prior to class.